Jayded Dreaming Beauty Blog : Official Coach Factory Online Sale starts TOMORROW. 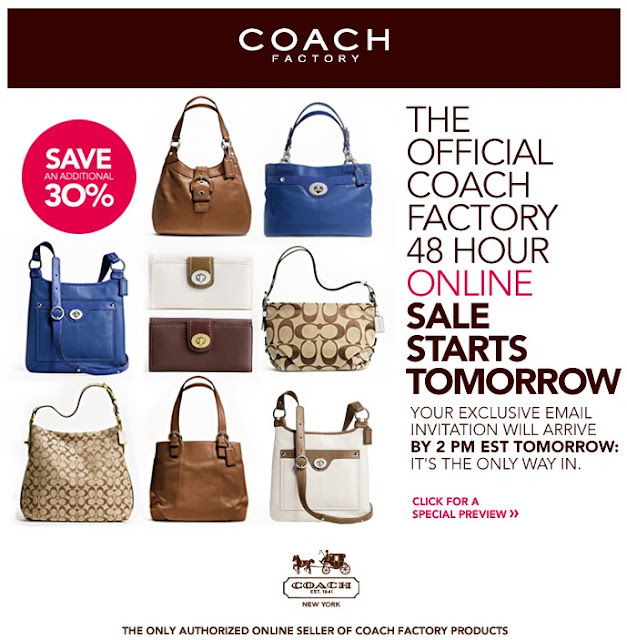 Official Coach Factory Online Sale starts TOMORROW. If you're subscribed you will receive an exclusive email invitation by 2 PM EST tomorrow: it's the only way in.